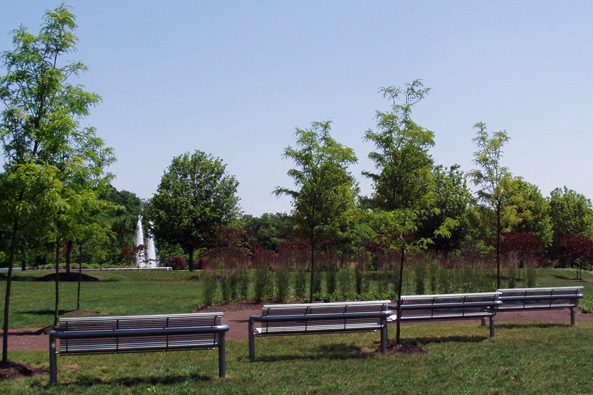 The Oak Garden was created as the first phase of a future Arboretum at Memorial Park in Lower Makefield Township. 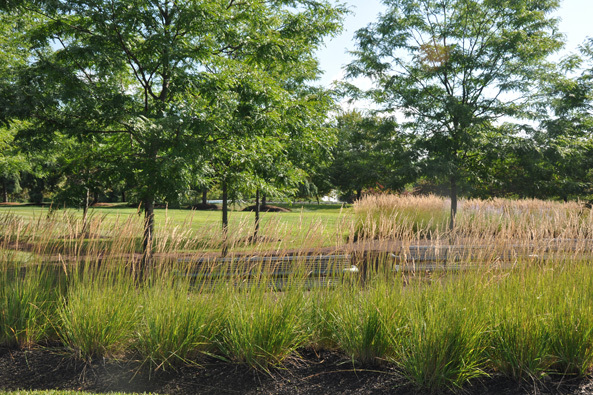 It comprises approximately a two-acre area adjacent to the Garden of Reflection – 9/11 Memorial. 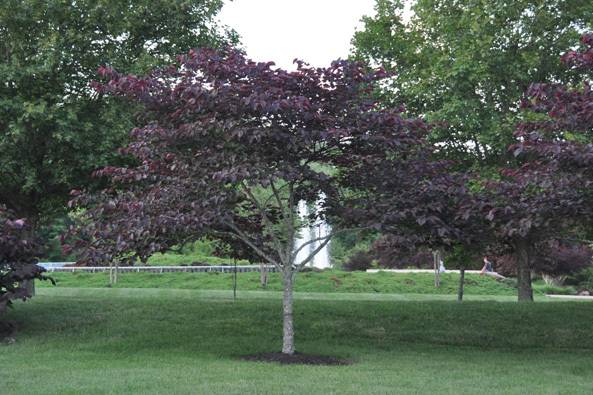 The arboretum offers the community an educational living museum and a passive recreational gathering area. The Oak Tree was selected as the starter genus in the arboretum collection since it is the chosen symbol of the National tree of the United States. The oak is also known as a symbol of strength and endurance. 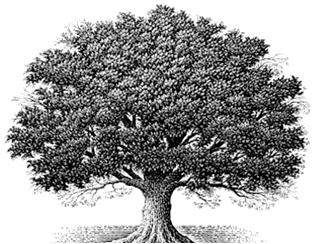 The life span of oaks typically ranges from 200 to 600 years, with a few species reaching 1,000 years old. Individual Oak tree species have been planted interspersed throughout the Arboretum, thus allowing for comparison of the characteristics of the species within the Oak genus. We always appreciate the ever-present support and the endless dedication of Liuba Lashchyk, architect, with her inspiring and uplifting contribution to our community. Thru her vision we now have a special place of transition between the active areas of Memorial Park and the Garden of Reflection. 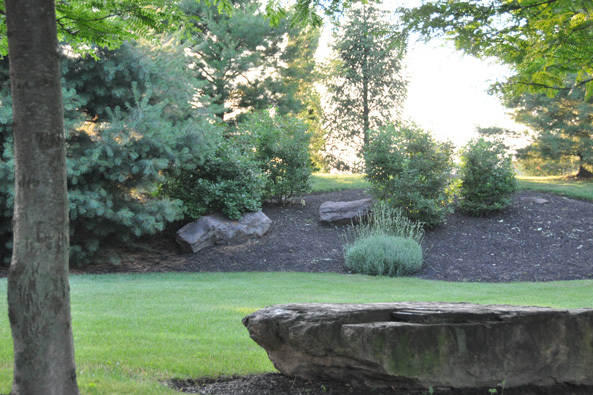 We also appreciate Ellen Saracini for her passion and continued dedication to insure the realization of the Oak Garden. We are thankful for the support and assistance of the Lower Makefield Park & Recreation Board; Donna Liney, Director Park & Recreation; Members of the Lower Makefield Township Board of Supervisors; Grace Godshalk, Supervisor and township liaison and through the guidance of Lower Makefield Township manager Terry Fedorchak. The implementation of the Oak Garden was realized through the generous contributions of numerous community members. 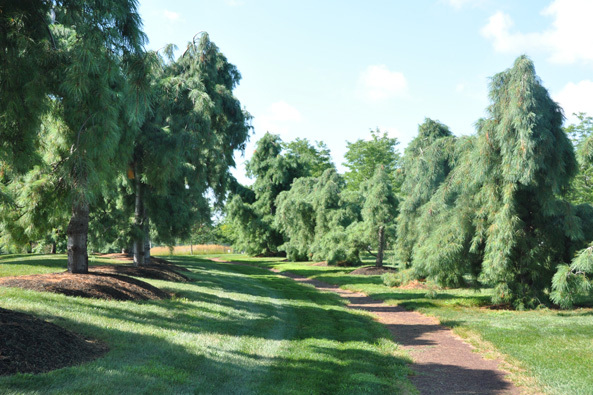 We owe a special tribute of gratitude and appreciation to the following donors: Mr. Ivan Olinsky, President of Princeton Nurseries, donated 98 trees. Linda Burkhardt, manager of Feeneys Nurseries, Daniel Fest of Coles Nursery and Kevin Fenning of E & E Nurseries donated evergreen and deciduous trees. Dave Fleming and Shady Brook Farm donated 60 flowering trees. Cliff Grier of Realty Landscaping for his contribution of the berm construction. Volunteers from Brickman Group under the leadership of Scott Lieb and Kevin Jakim planted the trees. Marrazzo Landscaping donated labor for planting trees. Dave Potter of Hanes and Kibblehouse donated all the stone for the walkways. In addition, we appreciate the individual timely help of Gina Waltersdorff and Dan Knots, Electrical. In addition, we are grateful to William Tamburro, RLA for his most helpful comments on the design and to the LMT EAC for their contribution in reviewing the design concept.